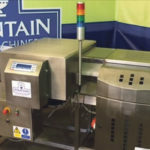 Here at Food and Drink Matters we are delighted to feature Fountain Food Machinery Ltd as our selected Food Machinery Supplier of the Year. 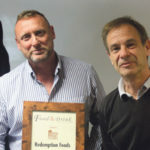 Food and Drink Matters is incredibly pleased to present its richly deserved Coffee Distribution Company of the Year Award to Cafés Novell for their continuous dedication to provide cafés, coffee shops and hospitality providers around the world with great tasting, premium quality beverages. Food and Drink Matters is extremely proud to present Mr Scratchings as its selected Snack Food Provider of the Year. Food and Drink Matters is incredibly pleased to feature Sunita Foods as its selected Speciality Food Supplier of the Year. Food and Drink Matters is extremely proud to present its Packaging Manufacturing Company of the Year profile to Robins Packaging.